Aquesta joiera crea unes estructures de fràgil aparença combinant l’esmalt amb diferents metalls. 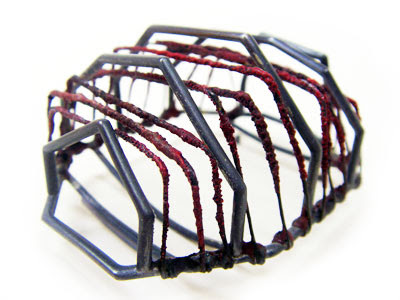 This jeweler creates seemingly fragile structures, combining enamel with different metals. This entry was posted by Montserrat Lacomba at 8:17 am. | This post has one response. This post is filed under Blog, UK and tagged with contemporary jewelry, enamel, Stacey Bentley. I've never seen enamel been used like this before.